Sattal Hill station, Sattal Ashram, Sattal Adventure activities, sattal bird watching, sattal places to visit, sattal distance from Delhi, sattal weather, | Uttarakhand Travel Guide | Travel guide & Adventure guide in Nainital. 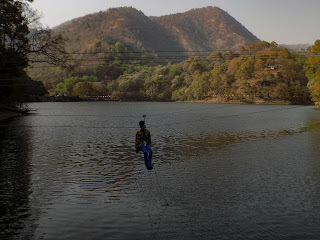 In this post you will know about- Sattal Hill station, Sattal Ashram, Sattal Adventure activities, sattal bird watching, sattal Christian ashram address, sattal distance from Delhi, Sattal Haunted lake, Garud Tal Haunted Sattal estate uttarakhand, sattal lake uttarakhand, sattal places to visit, sattal distance from Nainital, Delhi to sattal, sattal weather, sattal in june, sattal things to do , sattal waterfall, sattal birding guide, best time to visit Sattal. Sattal is a group of seven freshwater lakes in which three are interconnected viz. Sita tal, Ram Tal and Laxman Tal and the rest four are distant with one another viz. Garud tal, Nal damyanti tal, Purna Tal and Sukha Tal . 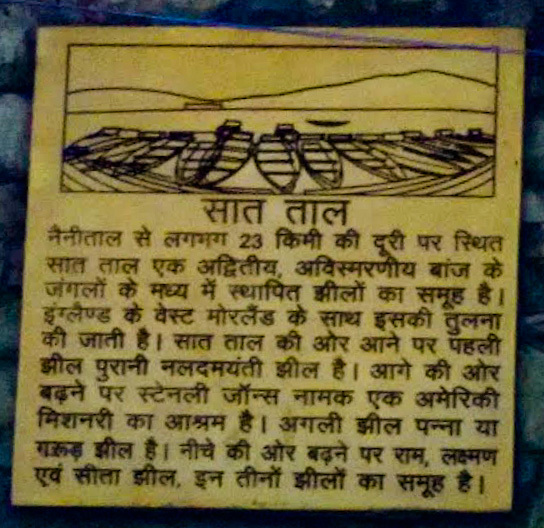 Sattal region located in Nainital district, just 20 kms away from Nainital city. Sattal is a heaven for Nature lovers. Perched at an altitude of around 1400 metres above the sea level. Due to being a very popular tourist destination and in view of the ever increasing tourist, this area has been declared as a major tourist spot by the Tourism Department. Sattal lake is surrounded with oak, pine tress and it is one of the most cleanest lakes in Nainital District. Here every season is very pleasant, therefore there is movement of tourists throughout the year. Sattal has its own unique look in every season, especially in rainy season there is a rush of greenery in Sattal, whole of the Sattal turns into green island. The surroundings of Sattal lake is heavenly clean, greenery is spread all over the Sattal area. Sattal is considered as one of the most untouched regions of India. The jungles in the sattal is home to variety of flora and fauna. In short, Sattal is heaven for Nature lovers. To spend some stress free moments in the calm valleys of mountains Sattal is the nearest ideal location with the most natural beauty. One can do Boating here, Kayaking is also famous among the visitors of Sattal. 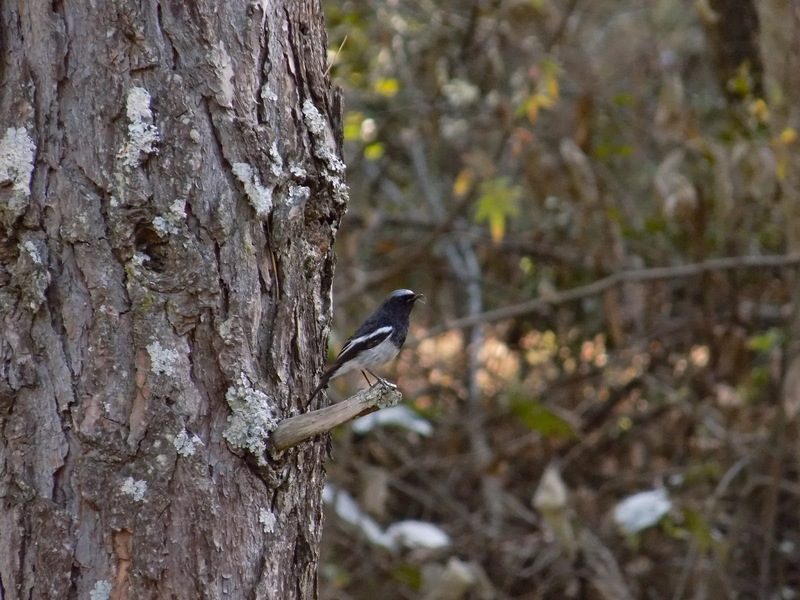 There is a rush of Aves lovers in Sattal for Bird watching Sattal is home to a large number of different species of birds, around 200 bird species have been recorded in Sattal. These freshwater lakes and lusty green jungles are paradise for birds and paradise for bird watchers too.Some of the birds that can be seen in Sattal are- Himalayan griffin, Verditer flycatcher, Grey hooded warbler, common Kingfisher, etc. Apart from Bird watching and kayaking there are many other adventure activities available in the Sattal lake, like Lake crossing is done from one end of lake to other and Water zorbing is also available for kids. Short one day treks are also there for the explorers. Near the Sattal christian Ashram there is a trail that leads to the one of the most important yet less discovered attraction of Sattal; The butterfly research centre. It was established by Federic Smetacek in Sattal estate. There are more than 2500 species of butterflies and 1100 species of local insects inside the museum. Federic Smetacek was given the title of "The Butterfly Man of India"
Federic died in February 2012, since then the area is looked after by his brother Peter. Sattal estate is home to more than 200 species of national and international birds. This place is heaven for Bird lovers. The ambience of this place attracts a lot of birds every year. 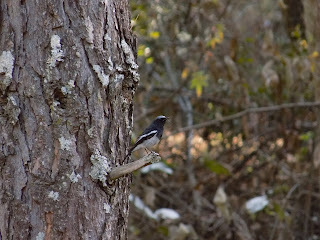 That's why this place is among the Uttarakhand's renowned bird watching spots. Near the Purna Tal in the mid of dense forest, there is a narrow craggy stony trail that eventually ends at the beautiful waterfall of Sattal. Subhash Dhara is a very beautiful fall and worth visiting is a 20 minutes straight trek from Sattal. A kilometer before reaching Sattal, there is a lake that is regarded as the Haunted lake, although the lake is very serene and pristine. The name of the lake is Garud Tal or Panna tal. One can visit here all around the year. Weather is pleasant all around the year and Sattal has something new to show in every season. The greenery of Sattal in rainy season is is similar to being in Amazon rainforests. The distance from Delhi to Sattal is only 320 kms, which takes about 6-7 hours to cover. The best route to go Sattal from Delhi is via Rudrapur, Moradabad. There is a magnificent 4 lane highway from Delhi to Rampur and two lane highway ahead of Rampur. One can visit Sattal with Train as well, the nearest railway station to Sattal is Kathgodam which is just 30 kms from Sattal. Hill path starts from Kathdgodam. 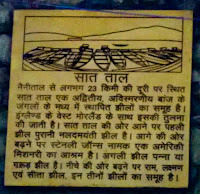 Sattal is situated at just 22 kms from Nainital, many travelers visit Sattal during day time and go back to Nainital at night. Other famous lakes like Bhimtal and Naukuchiatal are also situated minutes away from Sattal and Nainital.